Welcome! As a follow-up to receiving your free job description assessment, here is your detailed overview of each of the 8 job description components. This practical checklist will guide you in how to upgrade your job description which is the first impression of anyone looking to join your company. My goal for you: Help your job descriptions stand out from the pack and inspire more talent to join your company. * Want higher quality candidates? It starts with the job description. * Want to save time and have fewer interviews per hire? It starts with the job description. * Want to recruit faster? It starts with the job description. 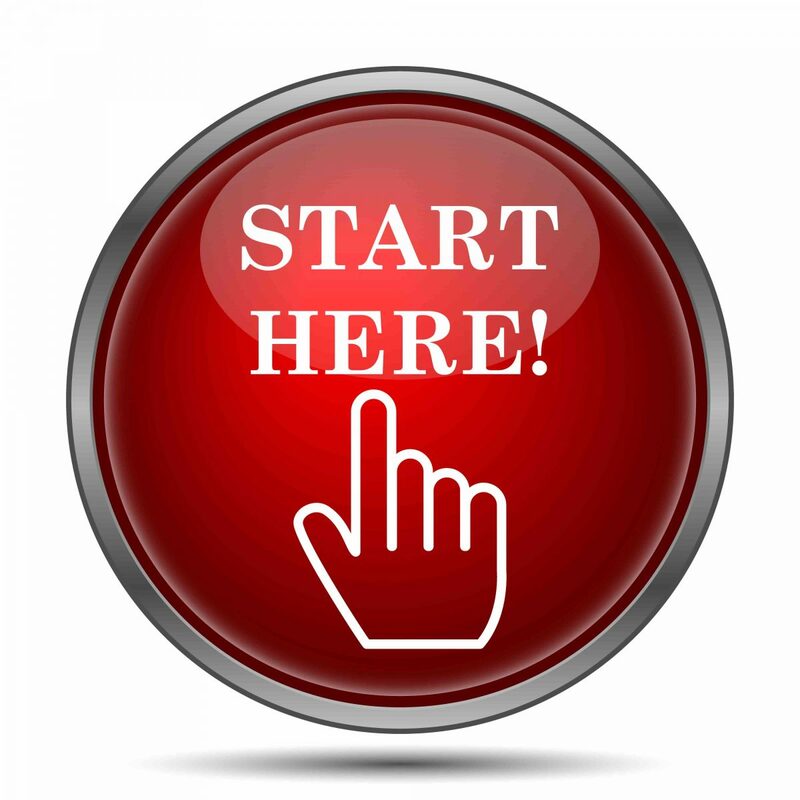 * Want to have great onboarding for new employees? It starts with the job description. There are 8 components that make up a winning job description. This template is what I’ve used for the last 20 years in recruiting and has been field-tested with hundreds of companies and roles – it just works. 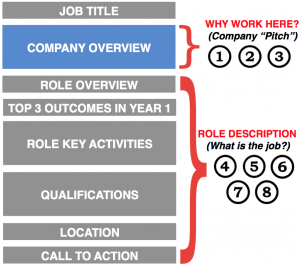 Your “company pitch” is assessed in the first 3 components. This is your standardized, two-paragraph company overview used at the top of all of your job descriptions, from entry level to executive, as it is the same company. This answers common questions which will save you time and inspire someone by what you are doing. Often you have a great company pitch when you meet someone in-person, but the written version is not as good. Just like copywriters know for news articles – you need to catch someone’s attention in the first section or they will not read on. Your “role pitch” is assessed in the next 5 components. This is your typical overview of what the specific job is you are looking to fill ranging from the title, key outcomes in the first year, activities, and qualifications. OK – Let’s get rolling! I’m going to now walk through each of these job description components in detail. Each of these 8 articles includes an overview description, why it matters, and practical examples of how to assess. © Art of Recruiting™ All Rights Reserved. Designed & Developed by Bonsai Media Group.